As the fall and winter temperatures drop across the Northern Hemisphere, flocks of tourists descend upon the crystalline waters and picturesque beaches of the Caribbean islands to relax, recharge and engage in leisurely island time. 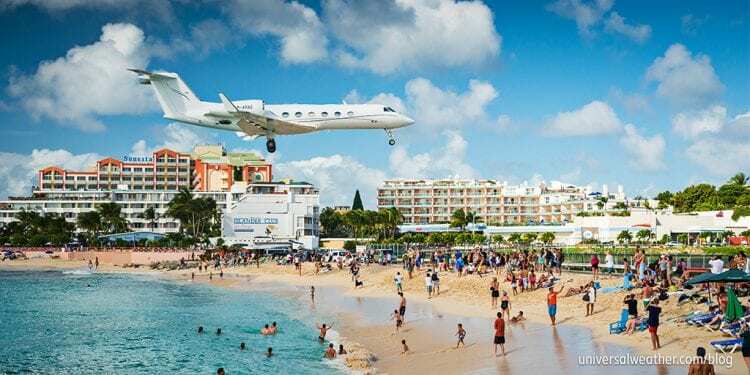 And while the pace may be slow and the vibe laid-back on the islands themselves, for operators of business jets traveling to the region during the islands’ peak season, issues such as limited parking, hotels and fuel can create operational risk and stress. Here’s everything you need to know to make sure your missions run smooth. Peak travel season in the Caribbean is from late November through mid-April. Extreme peak travel conditions occur over major holidays and long weekends, including New Year, Christmas and Spring break. General Aviation (GA) traffic movements throughout this region are much higher than normal during peak and super peak periods when airports often reach saturation levels. During peak season many locations become extremely busy, including St. Maarten (TNCM), St. Thomas (TIST), Nassau (MYNN), Georgetown (MWCR), Antigua (TAPA), Tortola (TUPJ), Providenciales (MBPV), Bridgetown (Barbados) (TBPB), Anguilla (TQPF), Montego Bay (MKJS), Santo Domingo (MDSD), La Romana (MDLR), San Juan (TJSJ) and Anguilla (TQPF). Ramp congestion is also experienced at smaller destinations such as popular Nevis (TKPN), with its 4,003 foot runway, and smaller outer islands in the Bahamas. During high season, GA access to many destinations becomes more challenging, with additional trip planning lead time recommended. For example, TNCM experiences peak periods of scheduled commercial operations Monday-Friday 1300-1700 local and Saturday-Sunday 1100-1700 local – presenting GA access issues. TIST also fills up from time to time with no GA parking availability. Over at TQPF, where the runway was extended to 5,456 ft a couple of years ago, GA parking spots routinely fill up and crew accommodations are often not available. Be mindful that TQPF has limited airport hours of 0645-1900 local and no overtime options. Note that while peak season parking may be requested early at popular island destinations it will usually not be confirmed until a couple of weeks prior to the estimated time of arrival (ETA). And, by that time, you may already have your non-refundable hotel reservations in place. Always be mindful of airport curfews and closure times. While some airports are open 24 hours, many close early – some at sunset. Airport overtime may be an option at specific locations, but it’s at airport authority discretion to approve/disapprove. Expect delays at popular Caribbean locations during high season, due to traffic volumes, so it’s best to have an airport alternate available. Sometimes the closest alternate is not the best choice as it may be experiencing the same parking/congestion issues. Always confirm that your alternate has the services, local transport, and crew accommodations available to handle your needs. During the peak of the high season, TNCM implements flow control due to severe ramp congestion from time to time. This may reduce operations to as low as five aircraft per hour and may result in circling holds and diversions to alternates. In flow control situations ground stops may be implemented to manage arrivals and departures of transient aircraft, and this can result in delays. At popular islands during peak season it may be necessary to drop passengers and reposition due to lack of overnight parking and/or crew accommodations. In some cases you may be able to find aircraft parking on a nearby island, perhaps a reposition to TAPA after dropping passengers at TNCM, and in other cases it may be preferable to just reposition back stateside. 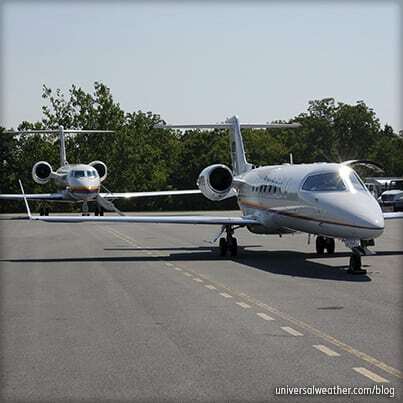 Depending on your destination, GA support services range from fixed-base operators (FBO) to handlers working out of small terminal facilities with potential ground support equipment (GSE) limitations. While in-flight caterers are available at some larger Caribbean destinations, there are many islands where it’s standard operating procedure (SOP) to source catering directly from hotels or restaurants. In such cases it’s important to ensure food safety, keeping hot and cold foods within particular temperature ranges, as well as having container sizes appropriate for galley re-heating refrigeration equipment. Fuel runs out from time to time at some Caribbean locations. This is usually pre-notified via NOTAM. 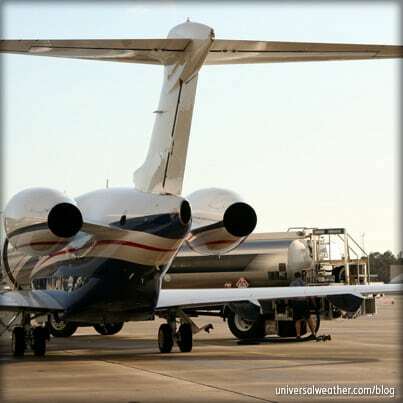 As there may be pop up fuel issues, or restricted fuel uplift quantities from time to time at various destinations, it’s recommended to tanker in enough fuel to make it to an alternate uplift location. 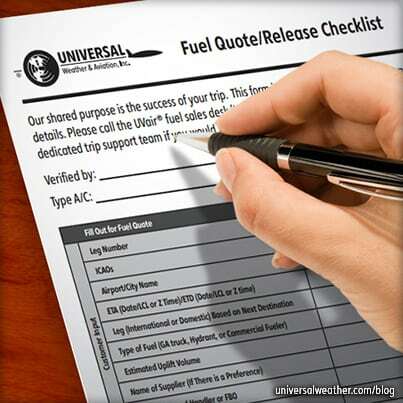 Many operators choose to depart the U.S. with sufficient fuel for the return trip. There are good quick turn tech stop options in this region, including Barbados (TBPB), Antigua (TAPA), Montego Bay (MKJS), and San Juan (TJSJ). To expedite the tech stop, it’s best to avoid peak periods of commercial aircraft activity and to pre-advise handlers of fuel and other service requirements. Commercial traffic always has fuel and ground service priority over GA.
No overflight permits are required in this region, other than for Cuba and for Central American countries bordering the Caribbean. Official lead time for Cuban overflight permits is two business days, but these can usually be processed the same day. Both private non-revenue and charter (non-scheduled commercial) operations require Cuba landing permits, with official lead time of five business days. For the latest information on travel to Cuba including permit requirements, please see our latest articles on this blog. 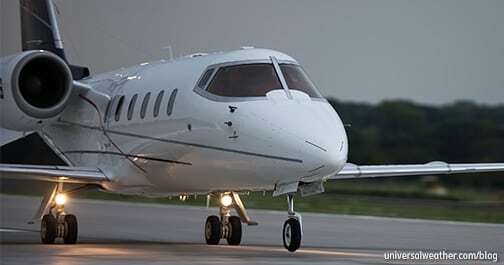 Certain Caribbean locations mandate landing permits for charter, with typical lead time of four to five business days and only standard aircraft documentation required. Permit lead times differ considerably, and some Civil Aviation Authorities (CAAs) strictly enforce official lead time mandates. For charter operations to French territories, including the island of Martinique, you’ll also need to complete a French Operating Questionnaire. Note that both the Bahamas and Jamaica require charter operators to submit special applications with landing permit requests. These applications include information on the operator and the flight, as well as the ground handler you’ll be using. Note that some of these countries, including Barbados and the Bahamas, offer annual landing permits. This gives charter operators the right to make multiple trips without having to apply for a permit each time. Speak to your 3rd-party provider to determine if your destination offers these permits. The islands of Guadeloupe and Martinique are both French territories, and requirements to operate to these locations are the same as operating to France. For charter operations no pilot may be over age 65 but a pilot aged 60-64 may fly as second in command (SIC). Additionally, charter operators must complete a Foreign Operator Questionnaire (FOQ) prior to operation, and have it approved by French CAA, and this can involve a week or two to accomplish if you’ve not done it before. 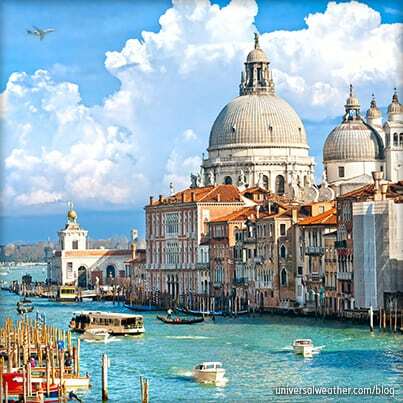 Depending upon your destination in the Caribbean, visas may be required for certain nationalities. It’s always best to check with your 3rd-party provider, well in advance of day of operation, on any applicable crew or passenger visa requirements. CIQ is normally cleared within the main terminal, unless a fixed-base operator (FBO) with CIQ facilities is available. Clearance times are normally under 15-20 minutes unless the terminal is very congested. For return to the U.S., CIQ pre-clearance is available at St. Thomas (TIST), St. Croix (TISX) and Aruba (TNCA) with pre-notification and during specified hours. However, these options are not used frequently as many operators find it just as easy, or easier, to clear stateside. At most island airports you’ll need to dispose of any open catering upon arrival, except in the case of international tech stops. There may be options at some locations to store onboard catering with your ground handler, but this must be confirmed in advance and depends on appropriate storage facilities being available. Crew accommodation options routinely run out at popular island destinations during peak season. This is particular true for short notice operations or in the case of short notice schedule changes. Crew accommodations, if you can find them, can run from 300 to over 800 USD/night with cancellation policies more stringent during high season, often with no option to refund bookings. When arranging high season crew accommodations it’s important to book early, understand the cancellation policy, and have contingency options ready. In some cases, crew may be able to take an inter-island flight, or boat, to a nearby island where accommodations may be available. Depending on the distance of the hotel from the airport, crew may be able to use ground handler transport or hotel shuttles to reach their destination. Pre-paid transport (car with driver), rental cars and public taxis are also viable and safe options in the islands. However, be aware that preferred suppliers and vehicle types may be in short supply. And, on smaller Caribbean islands there may be very few local transport choices available. Airport security at larger airports in this region is adequate, and it’s rare for operators to request dedicated aircraft guards. 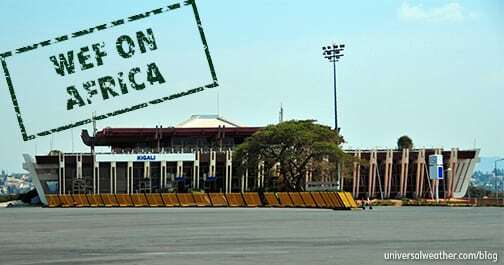 Additional caution is advised, however, at certain smaller airports as there may not be 24-hour airport security or surveillance. If an aircraft guard is desired this can be arranged at most island destinations, with advance notification. While this region is relatively safe in terms of off airport security, there are higher threat areas to be aware of—your ground handler can provide guidance here. It’s generally not an issue to travel with a pet, so long as the animal has proper health and immunization records, and its arrival has been pre-notified. Some islands, particularly former British islands such as Barbados, have more stringent requirements in terms of temporary pet importation. It’s best to review all applicable requirements well in advance of day of operation if you’re traveling with a personal animal companion. Hurricane season runs from early June through late October and does not usually affect peak season operations. During the high season there are few weather challenges or issues impacting this part of the world. For any short notice or last minute trip to the Caribbean during peak season top considerations are securing parking and crew accommodations. As it may not always be possible to obtain parking and accommodations at certain island during peak season operators should have contingency plans in place and be prepared to reposition. Consider permit requirements for charter operators and appropriate lead time. When operating to the Caribbean top of mind awareness items are always parking, hotel and fuel availability. But, even during super peak travel periods it’s usually possible to drop, go and reposition so that passengers get to their intended destinations on schedule. Got a question for Brandon about this article?